Patent leather processed with lacquer to give a hard glossy polyurethane/acrylic surface. 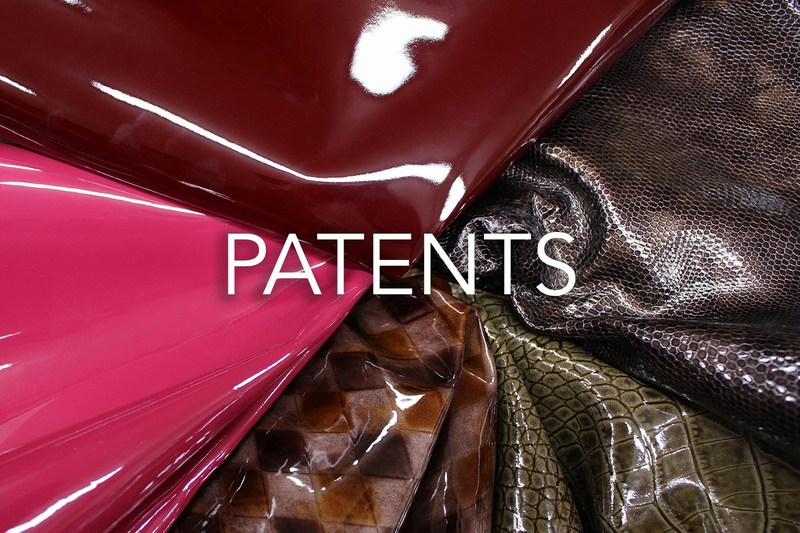 Patent leathers have a high glossed almost glass/mirror like finish. Patents are easily treatable and cleaned with a clean damp cloth. Most popular products produced from patent are handbags and Ladies footwear.